Join us at our annual Yoga for a Cause on May 17th! See events page for details! 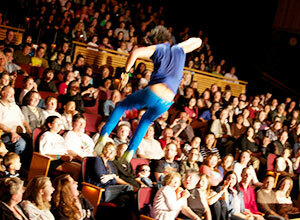 Youth are an integral part of our fundraising events! Breakthrough Manchester students and Jayme's Scholar Awardees are always welcome at fundraising events! Long drive Champ Rusty Gill (far left) donates his time to raise funds at the JFGC! Grateful to the Timberland Company for supporting the Jayme's Bears Project! 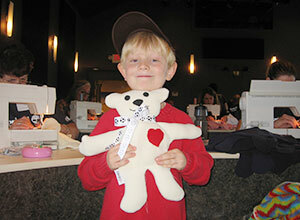 Jayme’s Bears are hand-sewn bears for children living through difficult circumstances locally and around the world. Volunteers, who generously dedicate their time, energy and talents, create the bears. To date, over 500 Bears have been made. 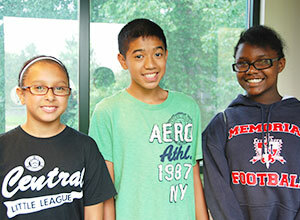 JFSJ’s flagship program provides need-based scholarships for middle school, high school and college-bound students. Scholarship winners are announced in the spring semester of each year. Typical scholarship amounts range from $1,000 to $2,500. JFSJ has a history of fun and inspiring community events, such as performances at the local Stockbridge Theatre to snowshoe hikes on the Hollis Trails to Jayme’s Bears sew-a-thons and days of golf at the Manchester Country Club. JFSJ provides opportunities for elementary, high school and college students who want to get involved. Eligible students can contribute through volunteerism, internships for class credit and even work-study. Have you experienced Restorative Yoga?